The collection was organised by Regimental Sergeant Major Instructor Sean Holmes an adult volunteer at Nottinghamshire ACF, when asked why he wanted to help in this way, he said: “I think it’s just second nature, we all joined up to help young people, so there is already an element of wanting to give and help. I think it just spreads and you want to do more to help others. The toys were given out by adult volunteers to families who were visiting foodbanks throughout the county. 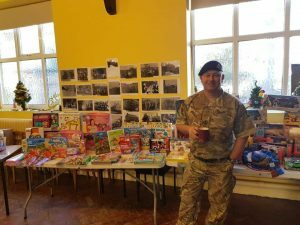 Tanbury Construction Ltd in Mansfield gave significant support to the appeal but adult volunteers were also an important part of the toy drive. 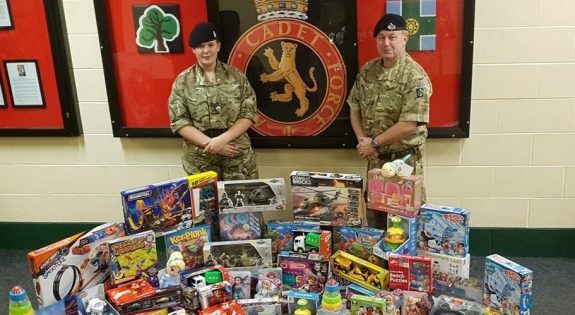 Nottinghamshire Army Cadet Force regularly holds charity appeals and events. In 2019 they will be hosting a charity boxing match against Nottinghamshire Police, 16 Adult Volunteers will be taking part and training has already begun, all proceeds from the event will be donated to Bassetlaw Hospice. “I think it’s just second nature, we all joined up to help young people, so there is already an element of wanting to give and help. I think it just spreads and you want to do more to help others."